Backyards are incredible! You can do so much with them. Whether you wish to build a pool, a vegetable garden or playground for your kids, it will definitely give you some interesting options. No matter what you decided to do with your backyard, there are certain items you can't go without. 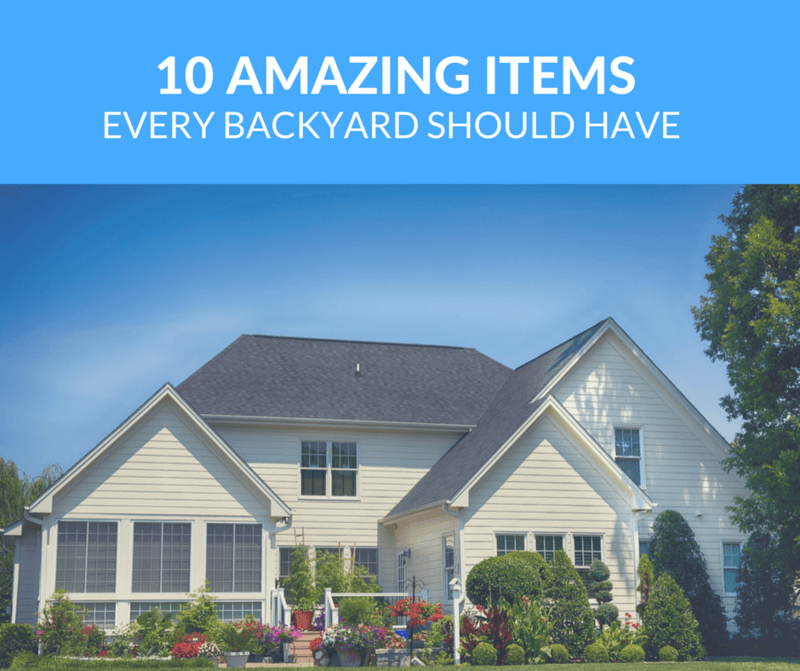 Check out our list with the most amazing items every backyard should have! You love eating outside? Then, a patio is just the thing for you. No matter the weather, you can take a shelter here, enjoy dinner or a glass of wine or simply talk with your friends. You will have so much fun in your backyard that you will simply forget about the time. All children love climbing up a tree. That is a given. But, what if you decide to make a separate space for them where they can enjoy and keep their little secrets? There is no better option than a treehouse. One of the inseparable ingredients of the childhood. You like resting in the sun? Why don’t you get a hammock? This traditional item is simply too much fun to pass. Just make sure you have two trees to spread the hammock between. If you’re a pool owner, there are a lot of different options you can try out. One of the best ones is constructing a grotto. The great thing about grottos is that they protect you from the rain and wind allowing you to circumvent these small nuisances and continue having fun in the water throughout the day. A pool is not a pool without a springboard. This item is primarily for kids but I bet that even parents have fun with it from time to time. Now, if you think springboards are dangerous, think again! It is much worse if you kid jumps off the concrete into the water. Zip lines have become increasingly popular in the last couple of years. Unfortunately, this item is primarily for homeowners with a bigger, wider backyard. You can either choose to put the starting point on a nearby tree or start the descent from your home. If you love spending time outside then you should definitely consider heating. There are several options to go for. Heaters are a traditional choice allowing you to stay outside despite evening temperature drop. Another good option which is popular as of late is the fire pit. Although a bit more expensive option, it is much classier and fun. You love having a big garden but hate watering the plants all the time? It is understandable. The solution comes in a form of irrigation pump. With this nifty item, you can water grass, flowers, fruits and vegetables and with minimum invested effort. Great addition for families with kids; trampoline is another one of those must-have childhood items. In fact, a trampoline is perhaps the best option on this list as it represents a fun activity and something that strengthens muscles. Constructing a basket court is rather simple. In fact, you don’t even need a concrete court. All you need is a hoop so that your kid can shoot. Very cheap and practical. These are just a few options you can do with a garden. The truth of the matter is; backyard and garden equipment continuously changes and evolves. This is only to be expected given the fact that most people love spending time outside. So, the next time you consider improvements, make sure to add some of the items from this list!